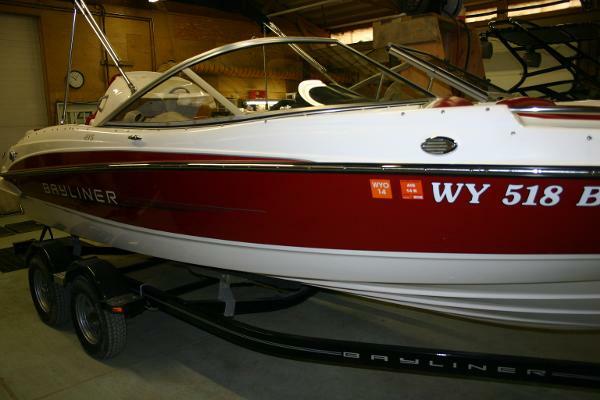 This 2003 Bayliner 265 SB has been well maintained. If the boat needed it, it got it. 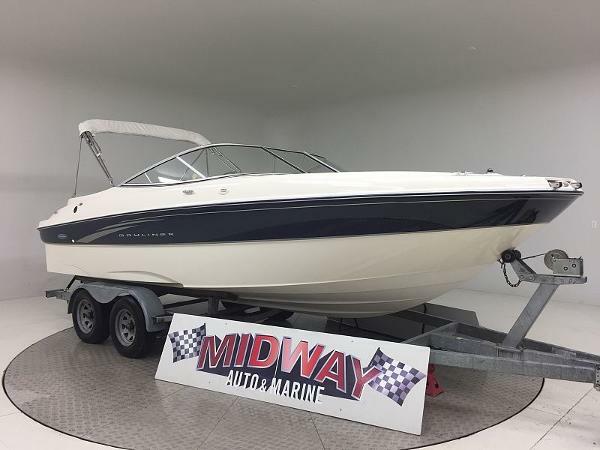 The seller states that the boat is in very nice condition inside and out. Mechanically the boat is good to go. It needs nothing that the seller is aware of. The 2003 Bayliner 265 SB sits on a 2003 Metal Craft Dual Axle Steel Trailer with Diamond Step Plates, Side Guides, Custom Wheels and a Spare Tire. The seller states that the trailer is in good condition and mechanically it is also good to go. It needs nothing that he is aware of. If you are looking for a well taken care of, freshwater cruiser that won't break the bank, this is one you should seriously consider. All reasonable offers will be considered. Stock #144963 265 Sunbridge Repowered with new 383 Mag Stroker in 2014, solid hardwood flooring in cabin! If you are in the market for an express cruiser, look no further than this 2003 Bayliner 265 SB, just reduced to $26,900 (offers encouraged). 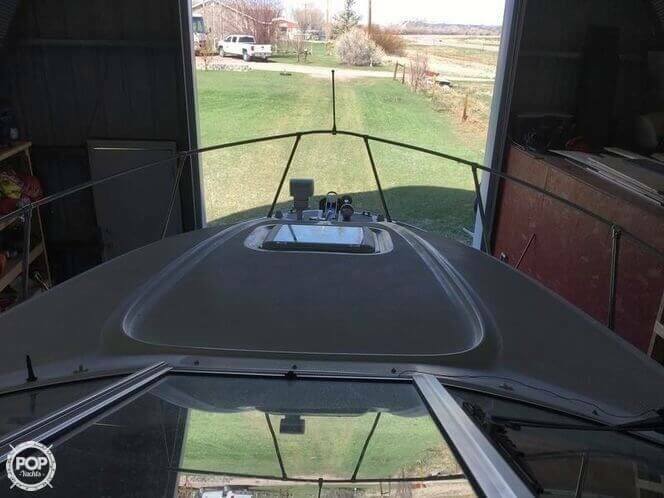 This boat is located in Fort Bridger, Wyoming and is in great condition. She is also equipped with a Mercruiser engine that has only 100 hours. 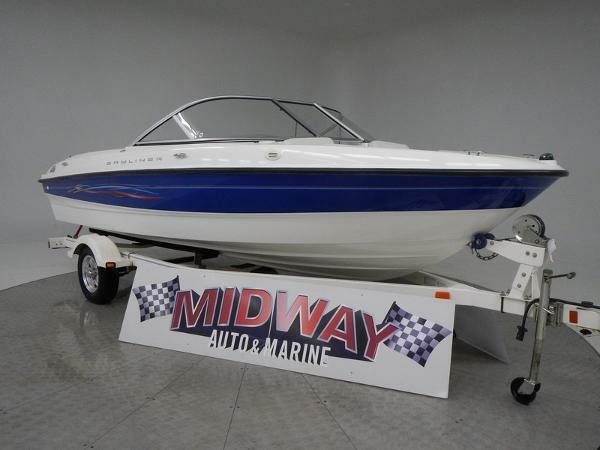 Reason for selling is retiring from boating..
2008 Bayliner 195 Go to our web site for updated info: midwayautoandmarine. com. Over 75 used family boats in stock. All with warranty. Delivered all over the U.S. and Canada. 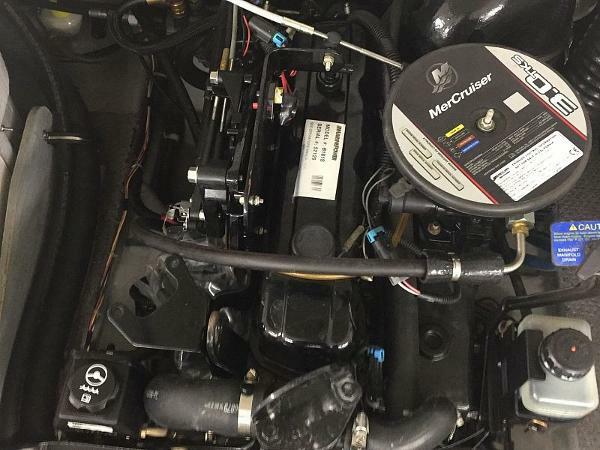 This is a Very clean 2 owner boat and neither owner used it very much. Very affordable and perfect for a mid size family!! Comes with warranty, Ask about Free delivery. Call us today!! Office 3o7 - 548 - 7444After hours Call: Kenny 3o7 272 4998 or Jason 3o7 272 5765 We have the largest selection of very clean used Boats in the Northwest! Check our web site before buying your boat! We deliver to all 48 states and Canada! All boats are professionally checked out and come with warranty. Ask about “No Risk” FREE delivery and Low interest financing!We sell and deliver our family boats to the following states and beyond: Wyoming, WY, Montana, MT, Utah, UT, Colorado, CO, South Dakota, SD, North Dakota, ND, Idaho, ID, Washington, WA, Oregon, OR, NV, Arizona, AZ, Nebraska, NE, iowa, Ohio, Kansas, KS, Nevada California CA, and Canada. You may also see our ads on Craigslist and KSL, boattrader, iboats, boatcrazy, and onlyinboards. We have a fabulous selection of almost every surf/wake model. Like Malibu, Mastercraft, Supra, Moomba, Tige, Supreme. We even have Ski nautique, Sanger, Calabria, and Centurion.If you want a runabout, we have these brands: Bayliner, Chaparral, Crownline, Glastron, Larson, Monterey, Reinell, Rinker, Cobalt, and even Blue Water. We even carry Four wins, Maxum Regal, Sea Ray, seaswirl, Starcraft, Yamaha and Sea Doo, We are known for having the cleanest used Family Boats in the northwest. So if you want to hit the lake, get in the water, and Wakeboard, Wake board, Surf, tube, water ski, or just hang out and party, You found the right marine dealer! Many of our boats we have for sale come with a wake tower, waketower. You will find that our boat range in age: 2000, 2001, 2002, 2003, 2004, 2005, 2006, 2007, 2008, 2009, 2010, 2011, 2012, 2013, 01, 02, 03, 04, 05, 06, 07, 08, 09, 99, 98, 97 and even older. There are a lot of different names for the type of boats we sell, I.E., runabout, bowrider, bow rider, openbow, open bow, pontoon and cuddy cabin. And they all come with a variety of engines like, 8.1, 6.0, 5.7 GXI, 5.0 GL, 4.3 L, 3.0 L,V8, V6, and some even come with the DUO Prop set up! We can even get you into the correct size for your needs like, 17, 18, 19, 20, 21, 22, 23, 24, 25, 17', 18', 19', 20', 21', 22', 23', 24', and 25'. So if you live in these areas, we can take care of you, Billings, Salt Lake, Denver, Pocatello, Boise, big horn sports. We even carry a few boats for fishing that have trolling motor, live well. Our trailers even come in single axle and tandem axle. What model are you looking for, 180, 185, 190, 195, 200, 202, 205, 208, 2100, 210, 2200, 2250, 218, 194, 184, 203, 212, 230, 220, 246, 240, 230, 242, 198, Q5, Q6, or Q4? 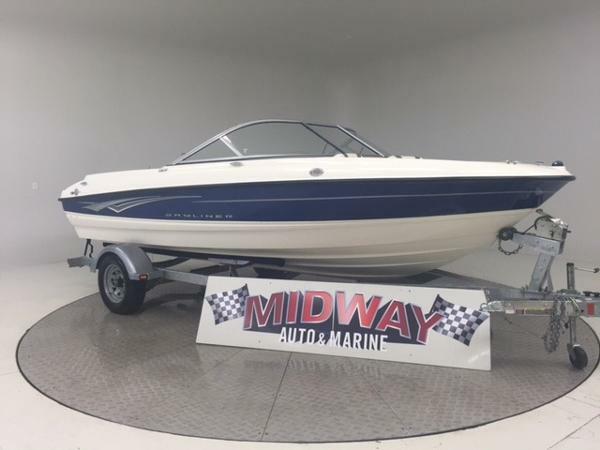 2002 Bayliner 2159 Rendezvous Go to our web site for updated info: midwayautoandmarine. com. Over 75 used family boats in stock. All with warranty. Delivered all over the U.S. and Canada. Need a very nice and very roomy 21' V8 runabout? This is it!! Clean and ready to go! New cover, new tires. Comes with warranty. Call us today!! Office 3o7 - 548 - 7444After hours Call: Kenny 3o7 272 4998 or Jason 3o7 272 5765 We have the largest selection of very clean used Boats in the Northwest! Check our web site before buying your boat! We deliver to all 48 states and Canada! All boats are professionally checked out and come with warranty. Ask about No Risk FREE delivery and Low interest financing!We sell and deliver our family boats to the following states and beyond: Wyoming, WY, Montana, MT, Utah, UT, Colorado, CO, South Dakota, SD, North Dakota, ND, Idaho, ID, Washington, WA, Oregon, OR, NV, Arizona, AZ, Nebraska, NE, iowa, Ohio, Kansas, KS, Nevada California CA, and Canada. You may also see our ads on Craigslist and KSL, boattrader, iboats, boatcrazy, and onlyinboards. We have a fabulous selection of almost every surf/wake model. Like Malibu, Mastercraft, Supra, Moomba, Tige, Supreme. We even have Ski nautique, Sanger, Calabria, and Centurion.If you want a runabout, we have these brands: Bayliner, Chaparral, Crownline, Glastron, Larson, Monterey, Reinell, Rinker, Cobalt, and even Blue Water. We even carry Four wins, Maxum Regal, Sea Ray, seaswirl, Starcraft, Yamaha and Sea Doo, We are known for having the cleanest used Family Boats in the northwest. So if you want to hit the lake, get in the water, and Wakeboard, Wake board, Surf, tube, water ski, or just hang out and party, You found the right marine dealer! Many of our boats we have for sale come with a wake tower, waketower. You will find that our boat range in age: 2000, 2001, 2002, 2003, 2004, 2005, 2006, 2007, 2008, 2009, 2010, 2011, 2012, 2013, 01, 02, 03, 04, 05, 06, 07, 08, 09, 99, 98, 97 and even older. There are a lot of different names for the type of boats we sell, I.E., runabout, bowrider, bow rider, openbow, open bow, pontoon and cuddy cabin. And they all come with a variety of engines like, 8.1, 6.0, 5.7 GXI, 5.0 GL, 4.3 L, 3.0 L,V8, V6, and some even come with the DUO Prop set up! We can even get you into the correct size for your needs like, 17, 18, 19, 20, 21, 22, 23, 24, 25, 17', 18', 19', 20', 21', 22', 23', 24', and 25'. So if you live in these areas, we can take care of you, Billings, Salt Lake, Denver, Pocatello, Boise, big horn sports. We even carry a few boats for fishing that have trolling motor, live well. Our trailers even come in single axle and tandem axle. What model are you looking for, 180, 185, 190, 195, 200, 202, 205, 208, 2100, 210, 2200, 2250, 218, 194, 184, 203, 212, 230, 220, 246, 240, 230, 242, 198, Q5, Q6, or Q4? 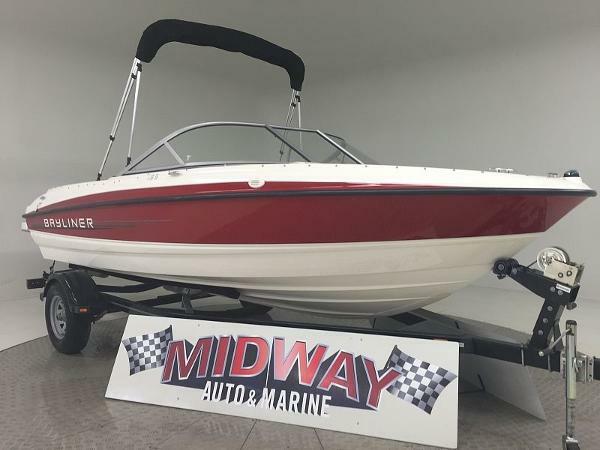 2011 Bayliner 195 Go to our web site for updated info: midwayautoandmarine.com. Over 75 used family boats in stock. All with warranty. Delivered all over the U.S. and Canada. This is a 2 owner boat. 2nd owner only put it in the water once before falling on financial difficulties and had to sell it. Less than 90 hours on this boat. And this is a super clean boat!! No issues at all!! We just installed a brand new wake tower on this boat. Comes with warranty, ask about Free delivery. We have the largest selection of very clean used Boats in the Northwest! Check our web site before buying your boat! We deliver to all 48 states and Canada! All boats are professionally checked out and come with warranty. Ask about “No Risk” FREE delivery and Low interest financing!We sell and deliver our family boats to the following states and beyond: Wyoming, WY, Montana, MT, Utah, UT, Colorado, CO, South Dakota, SD, North Dakota, ND, Idaho, ID, Washington, WA, Oregon, OR, NV, Arizona, AZ, Nebraska, NE, iowa, Ohio, Kansas, KS, Nevada California CA, and Canada. You may also see our ads on Craigslist and KSL, boattrader, iboats, boatcrazy, and onlyinboards. We have a fabulous selection of almost every surf/wake model. Like Malibu, Mastercraft, Supra, Moomba, Tige, Supreme. We even have Ski nautique, Sanger, Calabria, and Centurion.If you want a runabout, we have these brands: Bayliner, Chaparral, Crownline, Glastron, Larson, Monterey, Reinell, Rinker, Cobalt, and even Blue Water. We even carry Four wins, Maxum Regal, Sea Ray, seaswirl, Starcraft, Yamaha and Sea Doo, We are known for having the cleanest used Family Boats in the northwest. So if you want to hit the lake, get in the water, and Wakeboard, Wake board, Surf, tube, water ski, or just hang out and party, You found the right marine dealer! Many of our boats we have for sale come with a wake tower, waketower. You will find that our boat range in age: 2000, 2001, 2002, 2003, 2004, 2005, 2006, 2007, 2008, 2009, 2010, 2011, 2012, 2013, 01, 02, 03, 04, 05, 06, 07, 08, 09, 99, 98, 97 and even older. There are a lot of different names for the type of boats we sell, I.E., runabout, bowrider, bow rider, openbow, open bow, pontoon and cuddy cabin. And they all come with a variety of engines like, 8.1, 6.0, 5.7 GXI, 5.0 GL, 4.3 L, 3.0 L,V8, V6, and some even come with the DUO Prop set up! We can even get you into the correct size for your needs like, 17, 18, 19, 20, 21, 22, 23, 24, 25, 17', 18', 19', 20', 21', 22', 23', 24', and 25'. So if you live in these areas, we can take care of you, Billings, Salt Lake, Denver, Pocatello, Boise, big horn sports. We even carry a few boats for fishing that have trolling motor, live well. Our trailers even come in single axle and tandem axle. What model are you looking for, 180, 185, 190, 195, 200, 202, 205, 208, 2100, 210, 2200, 2250, 218, 194, 184, 203, 212, 230, 220, 246, 240, 230, 242, 198, Q5, Q6, or Q4? 2012 Bayliner 215 Combining the best of Bowrider and Deck Boat engineering, the next-generation 215 is primed for action. Watersports are a cinch with the standard V-8, walk-through transom. Stowing gear is simple, too, in the 215's ample bow and in-deck storage lockers. This boat is like new with only 11 hours! It is very well appointed with full cockpit and bow cover as well as a full stand up bimini top! It also has an extended swim platform and an EFI V-8 for all of those fun days on the water pulling family and friends on the water toys! 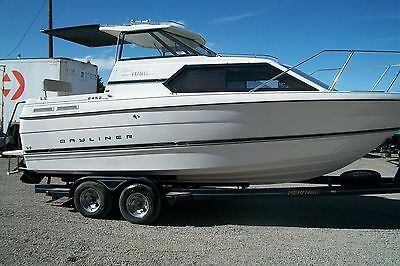 2006 Bayliner 185 Nationwide Delivery! 18ft Bayliner 185 that is NICE and AFFORDABLE. 3.0 MerCrusier, Custom cover, and an after market CD-player! Perfect for the smaller family or those on a budget. Will not last long! Call today! We have the largest selection of very clean used Boats in the Northwest! Check our web site before buying your boat! We deliver to all 48 states and Canada! All boats are professionally checked out and come with warranty. Ask about “No Risk” FREE delivery and Low interest financing! We sell and deliver our family boats to the following states and beyond: Wyoming, WY, Montana, MT, Utah, UT, Colorado, CO, South Dakota, SD, North Dakota, ND, Idaho, ID, Washington, WA, Oregon, OR, NV, Arizona, AZ, Nebraska, NE, iowa, Ohio, Kansas, KS, Nevada California CA, and Canada. You may also see our ads on Craigslist and KSL, boattrader, iboats, boatcrazy, and onlyinboards. We have a fabulous selection of almost every surf/wake model. Like Malibu, Mastercraft, Supra, Moomba, Tige, Supreme. We even have Ski nautique, Sanger, Calabria, and Centurion. If you want a runabout, we have these brands: Bayliner, Chaparral, Crownline, Glastron, Larson, Monterey, Reinell, Rinker, Cobalt, and even Blue Water. We even carry Four wins, Maxum Regal, Sea Ray, seaswirl, Starcraft, Yamaha and Sea Doo, We are known for having the cleanest used Family Boats in the northwest. So if you want to hit the lake, get in the water, and Wakeboard, Wake board, Surf, tube, water ski, or just hang out and party, You found the right marine dealer! Many of our boats we have for sale come with a wake tower, waketower. You will find that our boat range in age: 2000, 2001, 2002, 2003, 2004, 2005, 2006, 2007, 2008, 2009, 2010, 2011, 2012, 2013, 01, 02, 03, 04, 05, 06, 07, 08, 09, 99, 98, 97 and even older. There are a lot of different names for the type of boats we sell, I.E., runabout, bowrider, bow rider, openbow, open bow, pontoon and cuddy cabin. And they all come with a variety of engines like, 8.1, 6.0, 5.7 GXI, 5.0 GL, 4.3 L, 3.0 L,V8, V6, and some even come with the DUO Prop set up! We can even get you into the correct size for your needs like, 17, 18, 19, 20, 21, 22, 23, 24, 25, 17', 18', 19', 20', 21', 22', 23', 24', and 25'. So if you live in these areas, we can take care of you, Billings, Salt Lake, Denver, Pocatello, Boise, big horn sports. We even carry a few boats for fishing that have trolling motor, live well. Our trailers even come in single axle and tandem axle. What model are you looking for, 180, 185, 190, 195, 200, 202, 205, 208, 2100, 210, 2200, 2250, 218, 194, 184, 203, 212, 230, 220, 246, 240, 230, 242, 198, Q5, Q6, or Q4?